Wear and tear on a house can decrease its aesthetics and its value. However, "value" is a relative term. In today's real estate market homes are losing value quickly, but don't lose sight of value just yet. 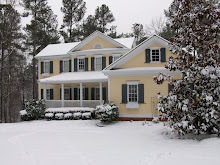 When an appraisal is done on a home for purchase or refinance, the appraiser rates the house on how well it aesthetically has been maintained and assigns an age to it, this is added to their "matrix of other considerations" and they assign a "market value" for the home, this is the basis for the home's value. Renewing just a few inexpensive things in an home of just about any age can easily add value to a house. So whether you want to give your house a facelift, or get it ready for the extremely tough real estate market, want to uncover it's true potential, make it more comfortable, or dare I say compete with new construction homes on the market, here is my "top must updates" that I am doing in my house. 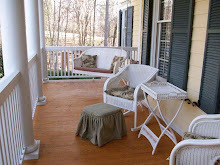 ~Check out baseboards and moldings. Mine were showing wear and tear from shoes, the vacuum cleaner, dirt/dust, gas heat, and changing levels of humidity in a house. 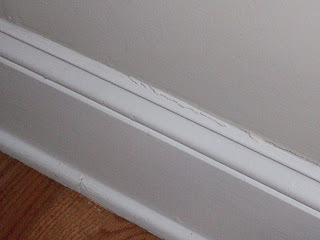 One of the best was to identify this is if the baseboard or molding has been pulled away from the wall showing cracks in the paint. The crack is most likely caused by painters calk that is used to seal the space between the wall and the carpentry and has pulled apart. This is an easy and cheap update, cut out the old calk with a blade, replace it with new painters caulk, smooth with your finger. When dry, tape and repaint or retouch as needed. I certainly don't endorse products, because I'm not getting paid to ;-), but I like ALEX caulk that is paintable, flexible, has water clean up, comes in it's own "squeeze cheese" like tube, and has a 35 year warranty. No caulk gun needed. 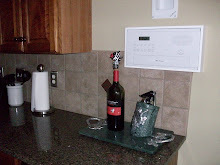 ~Light switch covers, outlet covers, and register covers in the floor or in the ceiling show a home's age. Even light switches themselves can get old, dirty or broken and are so inexpensive to replace. Sometimes all you have to do is give the covers a wipe down, other times they just need to be replaced. I've replaced most of the switch covers and outlet covers in my house because they were yellowed, cracked, paint smeared or just plain worn. Metal register covers could use a wipe down, then I usually spray them with a fresh coat of spray paint and they look like new. I had somebody ask me one time, "why don't you just buy new ones?" and I thought about it and I really didn't know why I just didn't buy new ones. I guess because spray paint is cheaper, and I'm recycling the old ones so the registers don't end up in the landfill. 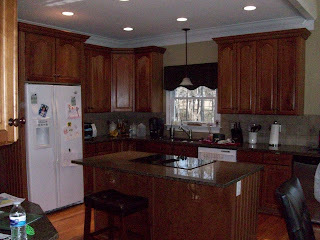 ~Renew stained carpentry or stained wood cabinets. There are some very expensive and professional "wood renewal" systems out there which are all options. However, I was able to bring my amber stained cherry cabinets in my kitchen back to new with a little known wood product called "Howards". It is sold in Home Depot only, and it has a stain renewal treatment and a wax treatment. My cabinets were scratched and on the edges were showing wear and tear of the poly coat, and replacing them was not an option. I used the stain treatment to cover the scratches and the wax treatment to moisturize the wood. All my issues went away and the cabinets look almost brand new. Of course, the other options include refinishing and painting them. I've seen some horrible painting and refinishing jobs done on cabinets, so take care to educate yourself on cabinet DIY if you are going to attempt a project like that. ~This is an easy one, repaint. A fresh coat of paint on walls, trim and ceilings is very inexpensive and a huge impact. For older homes, I use a scrubbable flat paint on the walls. I use a good quality paint too, I NEVER use any paints that can be purchased at Lowes or Home Depot, I have not found them to be good quality paints that can withstand the wear and tear on the inside of a house. If you have a gloss finish on anything on the inside of your house, and you want to update your house, prime it and paint it and bring the reflectivity down. ~Restore floors. I'm not talking about having floors refinished just yet. If that is in the budget, great, go for it and replace carpet with a good padding and good floor, sometimes all it takes is a good carpet cleaning to take years off carpets. Have the carpets stretched if that's all it takes to bring your floor back. I have hardwood floors throughout my home and I have seen people actually cringe when I tell them what I use on my floors to keep them shiny and new. I use Murphy's Oil Soap. The oil hydrates the wood and provides a protective coating and makes them glow. It also temporarily seals worn floors. I never get any build up of oil because it is broken down with the dry air in the house and rubbed off by foot traffic. I never recommend using any kind of acidic household cleaner on wood floors that eats away at the poly finish and creates a haze on the floor. ~Small, but more expensive updates to shave years off a house include updating light fixtures, or adding vintage ones, as well as updating bathroom fixtures, and replacing doors or knobs on doors and knobs on cabinetry. ~Bury the traditional wallpaper. I haven't found a single more daunting thing that dates a house more than wall coverings. I have seen some very inovative coverings that look very nice, but for me, if it is a border or a whole wall extravaganza of some body's repeating artwork, it makes me cringe. 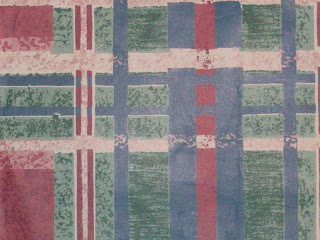 I like to tell people the first thing I did to update my dated kitchen was to rip down the "rainbow plaid" wallpaper that was in my kitchen when we first moved in. We were stuck with two houses at the time, and four mortgages and didn't have a dime to put into our "new" house. It didn't take me a dime to get that rainbow plaid wallpaper down so I could actually stand to have coffee in my "new" kitchen. ~And finally the number one, super duper, inexpensive update I've done to make my house look years and years younger is an awesome clean up and clean out. By just scrubbing walls, doors, windows inside and out, as well as baseboards and floors can make a house look much newer and very cared for.